in many many ways, despite getting off to a slightly rocky start. Let's get the latter part out of the way first; feel free to skip this part if you wish, I'm just going to have a little whinge. Stepping off of the train from Vienna I had a few issues to contend with. We were early arriving into the city so as to make the most of our 3 days in Budapest so needed to make use of the storage lockers at the station, which priced at 800 hf (around £2.20) for the day was pretty good value. 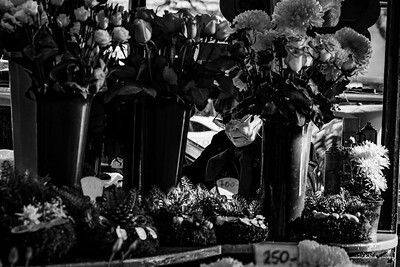 I tried three of the local vendors to break a note, all of whom declined to help, including the station's currency exchange. Even the hustlers at the station trying to lure unsuspecting tourists into fleecing you with currency exchange couldn't help me with any change, so in the end, I had to buy a bottle of water to break the note despite not wanting any. I then realized I didn't have the correct change so had to go back and buy another one! This really got my back up, and it wasn't helped that on exiting the station the very first person I saw, as literally, I walked out the door was someone trying to fleece me again with some bogus charity hustle. And I can't believe I'm going to say this, but in total stark contrast to our previous couple of days in Vienna, it was hot, scorching hot for early November, and I was dressed for Autumn. The clear blue sky and big bright sun meant that I was totally overlayered for walking the streets with my camera bag! It wasn't until the evening set in that I felt appropriately attired. So, my first moments were challenging, and do sound a little petty I know, but I do like to hit the ground running and all these distractions were, well, distracting. Once the bags were dropped and I was able to cool down with the gallon of water that I had to purchase I could start to settle in, find my stride and enjoy the city. It was now that I did start to see the city properly, and my mood rapidly adjusted. The train station was my first real impression of the city, aside from my earlier bitching. It is a huge tired looking structure that looks as though it has not changed much for a long time. If the platforms were awash in steam so as to conceal the modern trains and concessions, you would easily be fooled into thinking you were on a film set. Heading out of the station and onto the main street immediately beyond, the surrounding buildings were all much the same. Tall old and tired buildings loom over the main street juxtaposed with modern western corporate logos. 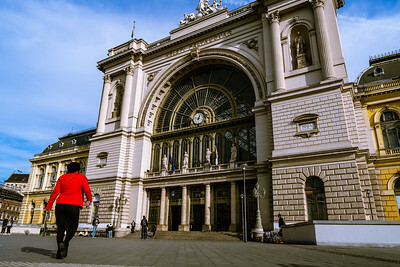 And so I was deep in Budapest, a very interesting city located in the north-central region of Hungary, which bordering Austria, Serbia, Slovakia, Slovenia, Ukraine, Romania, and Croatia, feels like a gateway to eastern Europe. 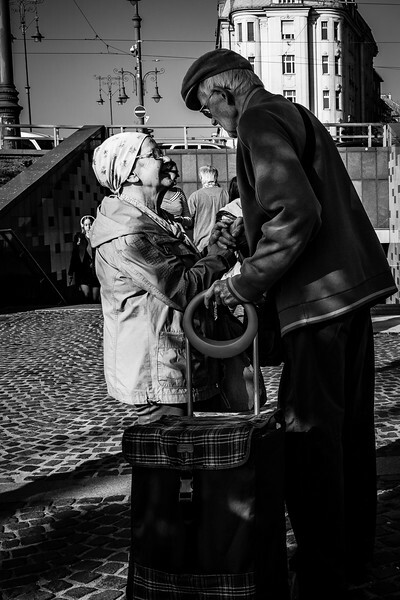 I saw a true blend of western and eastern European peoples which made the city feel like a true melting pot of these cultures. 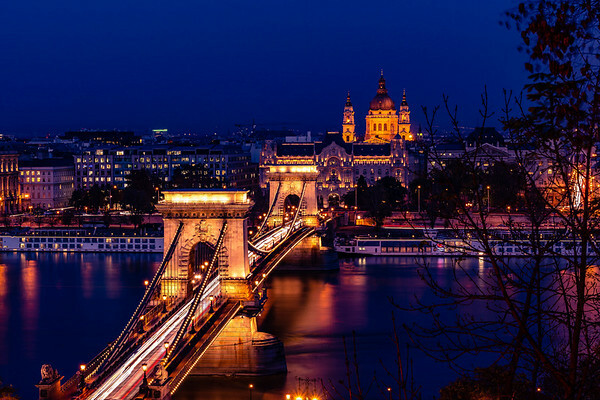 Unlike more western European countries, the Hungarian language and currency are totally alien to me and further bolster how little I really knew about the country. Usually, I like to attempt as best I can the local language, which in the first leg of our trip in Vienna was easy for me as I can get by fairly well in German, but in rather typical English fashion (and ashamedly) I did not even attempt to speak Hungarian. Minus a ton of traveler points for me! 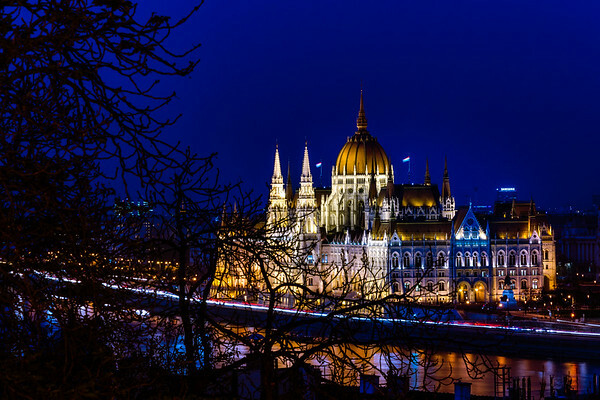 Budapest is a tale of two cities; Buda, the ancient city that sits on the east of the Danube, and Pest located on the west. I found that the easiest way to remember which was which was that the Parliament building is located in Pest and Pest is in the west. 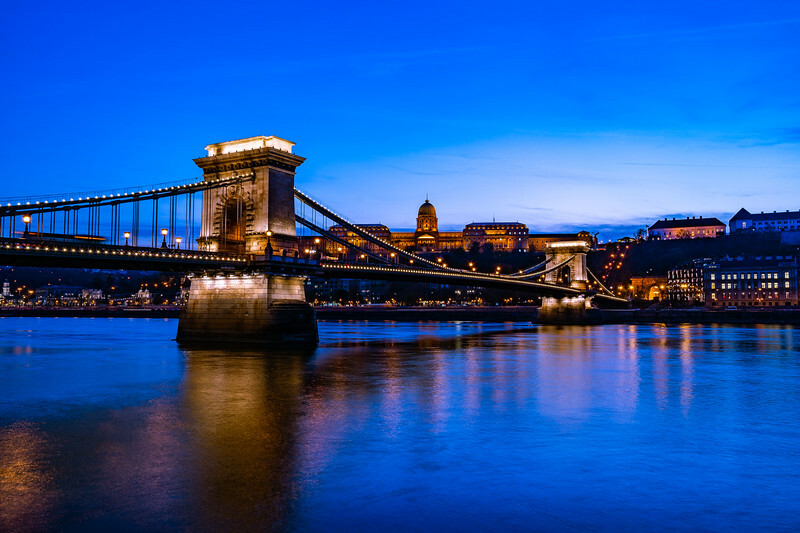 The city was united into one after the completion of its first permanent river crossing the Széchenyi Chain Bridge in the mid-1800s, a stunning triumph of architecture. Our first day consisted of just over an afternoon and I planned to spend this time exploring the new part of the city. The main road from the train station took us straight through Pest down to the Danube which was glistening in the glorious Autumn sunshine, which by this time I was now immensely grateful for after my earlier flapping. My chosen route just so happened to take us to the Pest side of the Elisabeth Bridge which had to be rebuilt after being totally destroyed during the second world war. Our guidebook spoke of the controversy that surrounded the rebuilding of the bridge as planners wanted to demolish the Inner-City Mother Church of the Blessed Virgin to make way for the replacement river crossing. A resolution was not found until the 60's when a route that is just inches from the church was agreed upon. Walking along the first section of the bridge I can say it is ridiculously close and must have been a nightmare protecting the house of God during construction. Once we reached the river we adjusted our direction to the north and strolled along the river, taking in the ornate bridges and river hugging tram system along the way. This section of the river made for some fantastic photo opportunities, despite the sun hanging low and bright on the other side of the water. 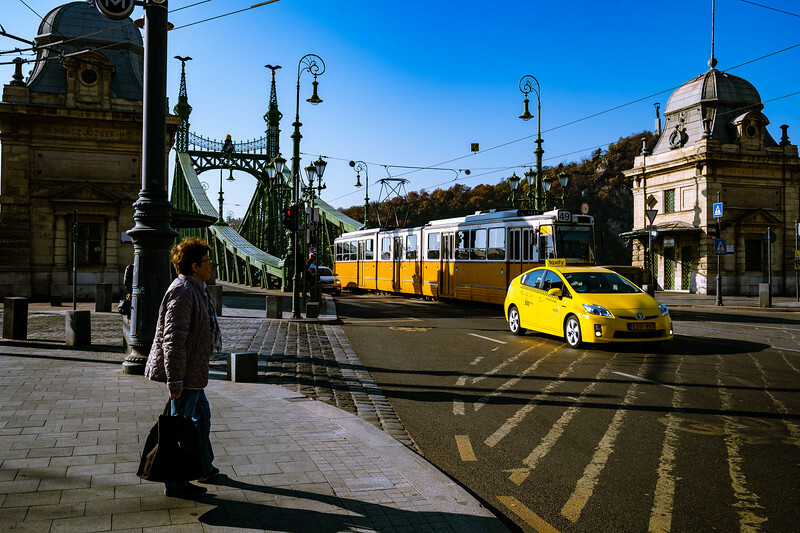 I was able to get really close to the passing trams in order to capture the wide shot above with Buda Castle in the background and capture people just chilling by the river taking in the beautiful scenery around them. 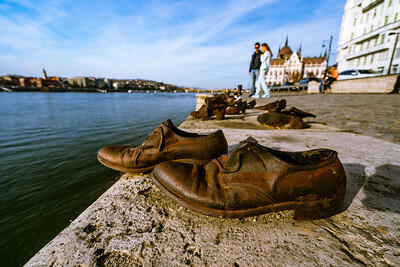 As you follow the river to the area of the parliament building you come across a very poignant memorial entitled Shoes on The Danube which commemorates the Jews murdered by fascists during the second world war. It is told that the victims were ordered to remove their shoes at the river bank before being shot so that their bodies fell into the water to be washed away. Here the low sun created long somber shadows behind the shoes which complimented the fitting memorial. We were then right outside one of the cities jewels; the Hungarian parliament building is a stunning and glorious structure. I was reminded of London's St Pauls Cathedral combined with the Palace of Westminster, which as it transpires was the inspiration of its designer. 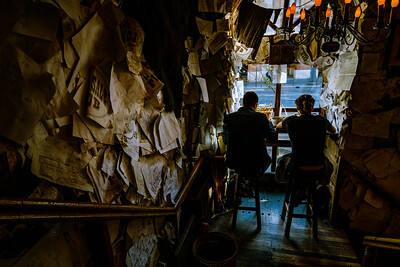 It's moments like this that I wish I had a 12mm or 14mm lens to capture more of the scene and provide a larger than life representation, so next year I am definitely making that investment. I had a particular shot in mind of the parliament building that I had come across in my research, so I spent a bit of time doing a recon of the area to find that perfect angle. We'll return to that in a little while. And so it was time to stop for a spot of lunch and a little refreshment. This was probably not the best place to stop being so close to one of the largest and well-known landmarks, but I'm rather glad we did. Positioned to the right of the parliament building (if you are facing it from the front) is a delightful cafe/bistro with an outdoor awning where we paused for a sandwich and a local beer. The food here was really good, I wish now that I had taken the name of the place, but it's fairly easy to locate. It was as I sat here looking out at the area in front of the parliament building that I noticed the scene below. 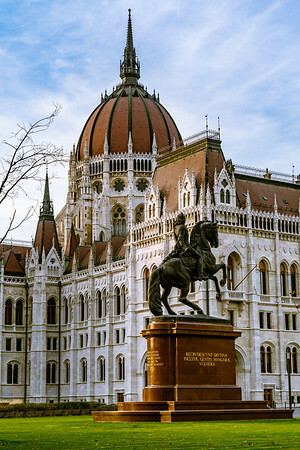 The sun was gradually winding down, casting its warm glow upon the Museum of Ethnography, the grand building sited directly opposite the home of Hungarian politics. I saw a great opportunity to capture the shot below getting close to the passing trams as the sun was fast fading, casting great shadows. With the fast creeping shadow of the parliament building creeping up the front of the museum, I had to act fast, abandoning my lunch to capture the shot below. Of all the places I visit there is always a particular shot I have in mind; this might be inspired by my research or generally be a scene I have in my mind that I feel best represents the location. I do try to avoid cliche shots; it's too easy to go to a location only to take the same shot as millions have done before. 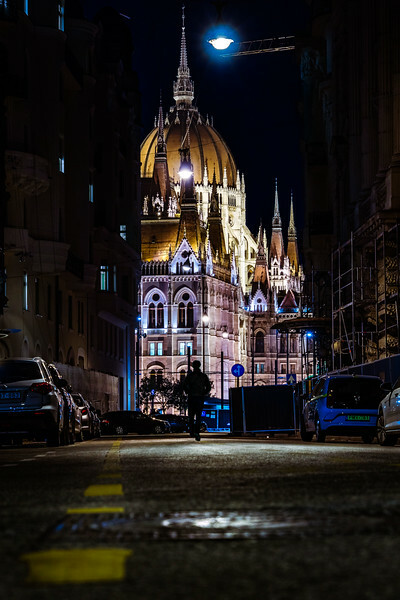 I had come across a shot of Budapest in my research which did truly inspire me, so much so that I had to attempt to recreate it. 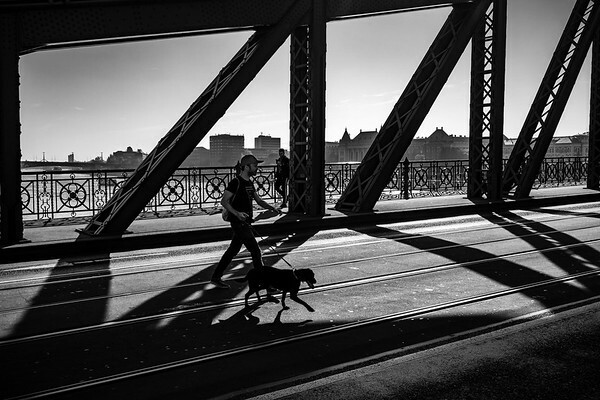 Having spent the evening watching the sunset behind the chainlink bridge (see headline shot) we went to grab some drinks and wait for dark to capture the scene I had in mind. This does lead to my number one occupational hazard with travel photography. I am not out here for the sole purpose of taking photos (unfortunately), so of course, it's only natural that I would want to have a couple of drinks and enjoy myself while I'm away. This does, however, have one massive side effect. Having settled in the outside bar of the Sofitel enjoying their signature complimentary popcorn (definitely worthy of note!) and a couple of beers waiting for dark, it was time to grab my shot before dinner. With my earlier recon of the location in the afternoon I knew exactly where to go; Akadémia utca. Typically there was a building site partially in the shot, but there wasn't much I could do about that, and If you had read my previous installment of 6 in the City you'll know that I was tripodless which meant that the angle I was seeking wasn't possible so I was forced to shoot low. Crouching down to precariously prop up my camera using my bag it suddenly hit me. The few large European measured beers I had accumulated throughout the day now suddenly decided it was time to evacuate, just as I was bending down trying to capture my ideal shot. The pain was unbearable, intolerable and immeasurable (ok, maybe a slight over exaggeration, just roll with it). Because of the angle, and my predicament, I was unable to bend down properly and review the images properly, so I just had to crack off a few shots and hope for the best. The morning was a perfect opportunity to take in some street work. Another glorious day with the sun shining, and this time I was far more appropriately dressed for the unseasonably hot weather. First stop was a bit of breakfast in the New York Cafe, dubbed the most beautiful cafe in the world and it's easy to see why. A very beautiful establishment adorned with highly decorated moldings and chandeliers serving fine cuisine. Back on the streets, it was great fun taking in the street life with the early morning sun creating strong shadows as people went about their business. This trot took us past the great synagog and back down towards the Danube with plans of crossing into Buda to visit the sites on the east side of the river. Before the crossing, we had a snoop around the university building which proved to be pretty busy with it being a Monday morning and not quite as visually appealing as the University of Vienna. This was to kill a bit of time whilst the unusual For Sale Pub opened at midday. At exactly 12 noon, and not a second before. When we first stumbled across this popular bar at around 11:50 the door was wide open so we wandered in, and was quickly rushed out the door and made to stand outside until it was exactly midday. When we were eventually allowed in it was quite cooky inside with the low ceilings covered in scribbled notes, and baskets of peanuts. The bar is one of the most popular places on Trip Advisor I believe so it wasn't long before it was overrun. The staff were some of the rudest I have ever experienced, something I wouldn't normally be bothered to mention but they way they barked at us when we went to sit down (it is a pub after all!). I could go on but there are far more interesting points to discuss. Check it out f you want, but I guarantee you won't stay there for very long, it's not a very welcoming place. So after just the one beer at For Sale, it was back out and across the river for the first time into the ancient city of Buda. Taking the Funicular up to the castle we were transported back in time to a stunning little town sat upon the hill overlooking Pest. 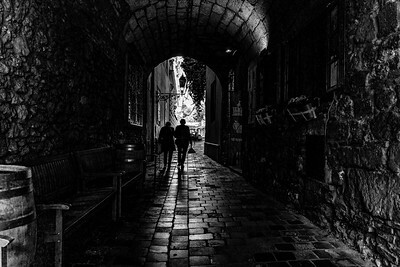 I 'm not sure what I was expecting, but I did not expect the old cobbled streets with medieval-looking buildings and tight moody alleyways. We skipped the castle, as majestic as it appears I felt it was more attractive viewed from afar and was far more interested in taking in the Fishermans Bastian as the sun began to set. 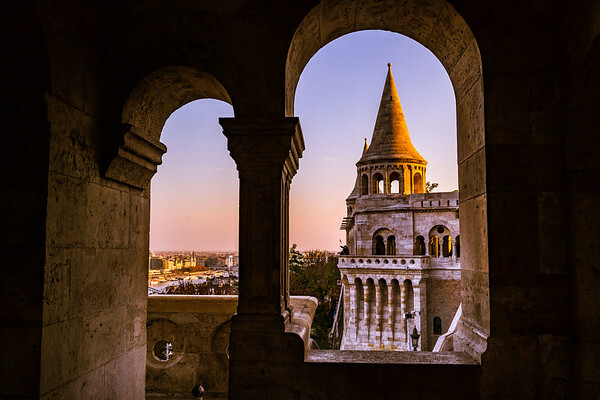 The Fishermans Bastian is a stunning hillside stone structure overlooking the Pest side of the city, with uninterrupted views of the river and the amazing Hungarian architecture beyond. Despite the sun setting behind, the warm glow crept across the rough texture of the stone which was amazing. The only thing that could possibly spoil this experience would be a swarm of tourists flitting around the structures and milling about waving selfie sticks. Don't worry, they were there, in force. Trying to capture this shot without a tripod and being sure to remove as many of the wandering visitors as possible was a serious problem. I had to stand as still as I possibly could with my camera to my eye capturing shots intermittently hoping to catch as many different shots as I could so as to overlay the images and mask out the tourists. Doing this free hand was a first for me, and was a real challenge. I stood there for a solid three minutes taking a couple of dozen images, but people were lingering longer than I would have liked. As if the shot wasn't difficult enough as it was, the freehand firing meant that some of the perspectives weren't quite right so a straight up overlay wasn't possible as the auto align of layers couldn't be 100%. To tackle this I had to manually adjust and tweak the layers and line them up by eye. In all, the end result wasn't too bad. 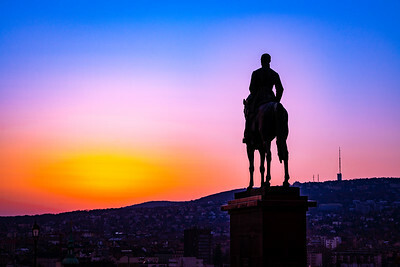 And so the sunset on our second day in Budapest, it had been a real pleasure working my street photography as well as more travel based photography. But the photo fun did not stop there. On the funicular ride up I saw some great opportunities for when the dark set in and the city lights came on. If you take a walk down the side of the funicular a path zigzags back down the hill with two footbridges across the vertical tracks with spectacular views back over into Pest. First stop on the way down, with my camera perched right on the edge of a supporting pillar through the decorative railings and propped up slightly with my filter pouch. FYI - lights are coming on around 17:30 in early November. Second stop down, the parliament building is so beautiful at night. Claire had booked us into Trip Advisor's number 1 restaurant in all of Budapest; I was very much looking forward to tucking into some fine local cuisine in the most popular restaurant in heart of the Hungarian capital. But then I was informed it was an Italian, what?? Comme Chez Soi was a total surprise! Fortunately, we had a reservation and had to fight through people being turned away at the door, do book as this place is super popular! When the patron Roberto discovered we had a reservation it was as if family had arrived for dinner. We were quickly whisked to our table in the cozy dimly lit dining room surrounded by empty bottles of champagne. Having tipped the nod beforehand that it was a certain someone's birthday, the team pulled out all the stops for us kicking things off straight away with a complimentary glass of champagne. With such a varied menu it was a real challenge settling on a choice but fortunately, our server was on hand to provide some guidance which he delivered with a sense of pride and enjoyment. It's really a pleasant experienced to be served by someone who actually appears to care. Having never tried escargot before, we opted to share a small plate of them to start, and I thought I'd opt for a lighter starter of bruschetta for myself. This somewhat backfired as the bruschetta filled a normal size dinner plate! Snails probably aren't quite for me as they are really really earthy. But this was just the entre, the real experience was on its way. After consulting our server I opted for goose liver as my main, with the birthday girl going for their somewhat famous seafood linguine. The linguine was presented on a dinner plate that resembled a small ironing board, the plate was massive! And judging by the silence from the other side of the table, it's fair to say it was a triumph. 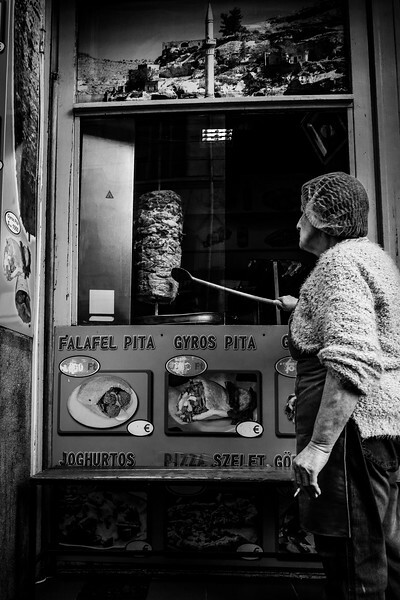 The glory, however, goes to the goose liver; served on a sizzling pan the size of a wheel from a small car, there was enough of the goose liver to feed the entire restaurant. Placed on a bed of beautiful mash potato in a sauce that was as close to heaven as an individual could possibly get, the goose liver was more like eating bundles of silk than offal. I hate to say it, but Berliner Style liver being my favorite liver dish was knocked right off its podium. This food was sensational! No, it didn't stop there. The hospitality continued with a complimentary slab of divine tiramisu to share, followed by a couple of mouthfuls of sorbet, chocolates and a never-ending river of limoncello. We had to leave before we were indulged to death. Thank you, Roberto, you have taken hospitality to new heights for me. And so we moved into our last day in Budapest. With some 6 hours or so before we had to head to the airport for our homebound flight, we ditched our luggage at a storage locker cafe and headed out for a final stroll. Having a wander north through Pest taking in the opera house, back through the government area in the direction of the bridge that just touches Margaret Island. 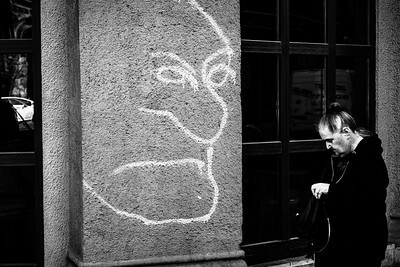 Budapest is a city that is much better seen on foot, something that we took full advantage of during our time here, taking in the scenes on the streets along the way. 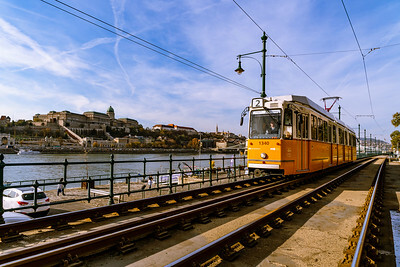 Being tight for time on the last day, however, it was necessary to take a tram along the Buda bank to make it to Szent Gellért tér metro station before our time ran out. 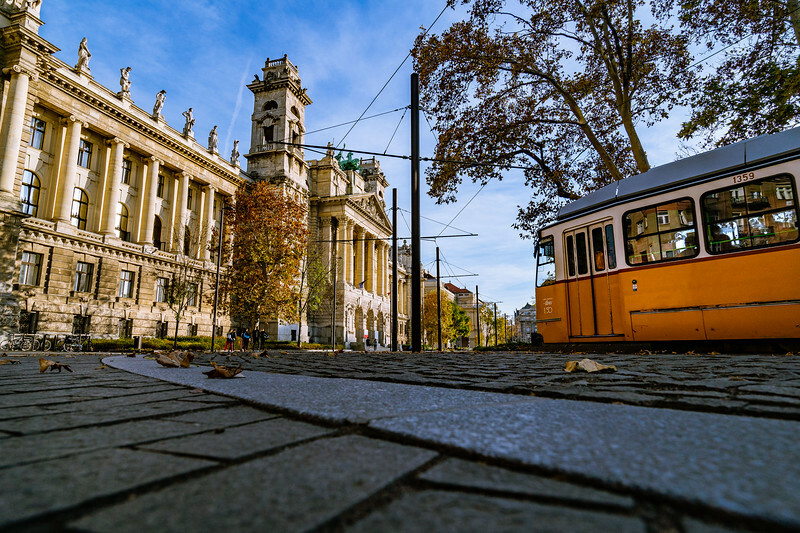 We had been advised by a local on our first day that tickets are required on the tram system, but nobody ever checks them and that pretty much nobody in Budapest bothers with tickets for them. Not usually being up for bending the rules in a foreign country, we took the gamble. I'm not advocating breaking the law, but a little trip here and there probably won't hurt. The shot opposite taken on the tram is a real testament to my new A7iii, and would not have been possible without it. 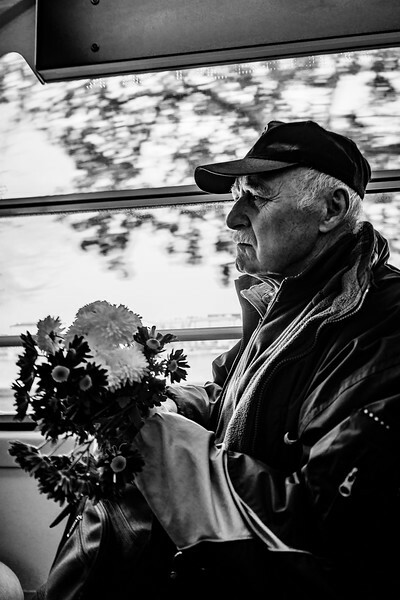 Spotting this gentleman sitting patiently on the tram with a bunch of flowers was an opportunity too good to miss. I casually reviewed the setting on my camera as if I was reviewing my shots and held the camera by my side. With the silent mode on, I very gently squeezed the shutter and cracked off some shots resulting in a perfect portrait. And so we conclude another very successful trip. 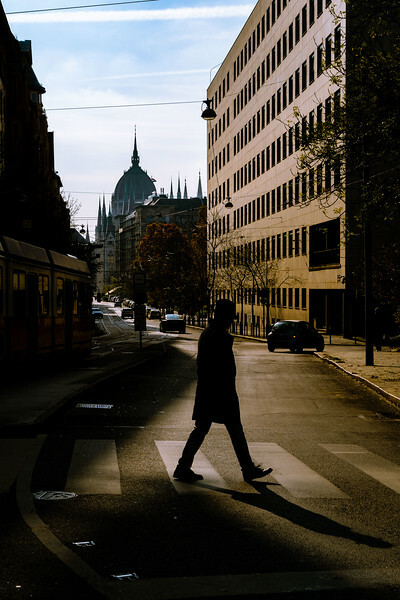 Vienna had given me sufficient time to be properly warmed up and ready to shoot Budapest and the results I feel have been highly satisfactory. I know we got off to a rocky start, but honestly, Budapest was such a nice surprise and I thoroughly enjoyed my time there. I would strongly recommend the city to anybody looking for a city break. 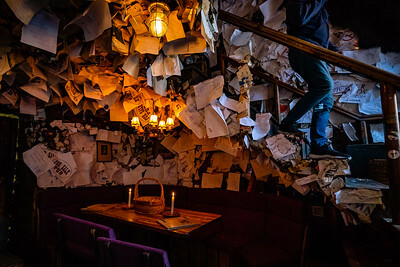 There were so many things that we did not manage to squeeze in such as the famous baths, ruin bars, and Margaret Island to name a few, but this does give us plenty of excuses to return. To find out more about the first leg of our trip further up the Danube see 6 in the City - Vienna here. I hope you have found some inspiration here and enjoyed this post. 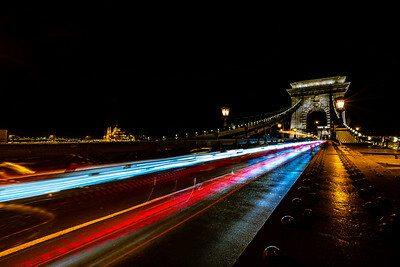 Please like and share this post to help spread the word and fly the flag for Budapest.